With the New Mk. X, you can choose from thousands of possible combinations. 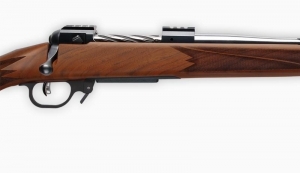 Your choices include 2 barrel contours, stainless steel or blued chrome moly steel, premium polished or matte finish, long or short action length (depending on caliber selected), multiple barrel lengths, and checkered walnut stocks or your choice of two laminates. The Mk. X can be ordered in the small varmint cartridges up to the heavy hitting magnums. With this many options you are sure to find the rifle that fits your needs. Mk. X prices start at $1,400.00. CUSTOMIZE YOUR MK. X RIFLE WITH OUR ONLINE GUN BUILDER! Here at Shaw Custom Rifles we have made the ultimate receiver for the Mk. 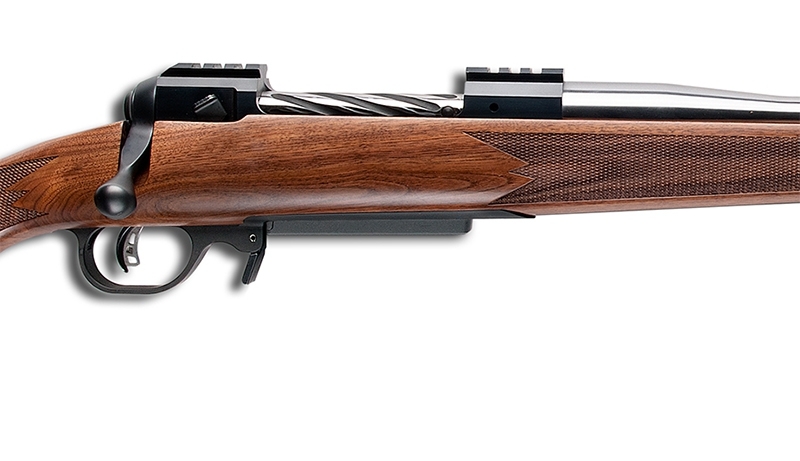 X Rifle, with our proprietary design, by combining the best features from Ruger®, Winchester®, Sako®, and Savage®. Bases directly machined into the receiver. Integral heavy duty .250" recoil lug. Beautiful, select grade, Walnut stocks. Muzzle brakes or muzzle threads. Complete your new Mk. X Rifle with one of our quality gun stocks. With a dark richness that make your rifle an instant classic. A quality stock made with an aesthetically pleasing dark red/deep brown wood. A unique peppered design for your custom rifle. With over eighty calibers available, the Mk. X rifle is sure to fill your needs. Use the chart below to select the caliber & twist rate for your Shaw custom Mk. X Rifle. Please refer to the icons in the caliber list to determine which twist rate can be used in your custom Mk. X Rifle. The number in the box corresponds to the number of inches per complete right-hand twist. For example: 14 would mean that your Mk. X Rifle caliber requires a twist rate of 1 in 14 inches.